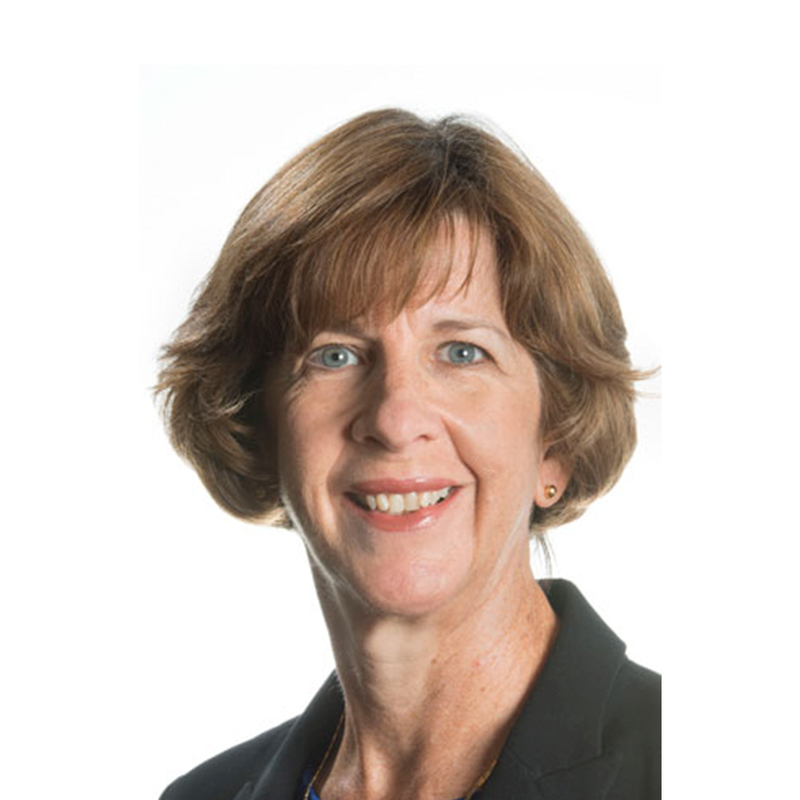 Catherine Killen is an Associate Professor and the Director of the Postgraduate Project Management Program at the University of Technology Sydney (UTS), Australia. Catherine conducts research on the management of innovation and projects with a focus on project portfolio management. She has published more than 60 journal articles, conference papers and book chapters in these areas. Her current research themes include the relationship between strategy and the project portfolio, organisational project management, capabilities for survival in dynamic environments, the role of visual representations of data in portfolio decision processes, and the management of project interdependencies within a project portfolio. Catherine maintains strong links with industry and convenes a project portfolio management special interest group with more than 80 industry-based members. She is regularly invited to speak about innovation and project portfolio management at conferences, seminars and industry events. She also delivers corporate workshops on technology management tools and assists organisations benchmark and improve their innovation processes. Catherine has a Bachelor of Science in Mechanical Engineering from the University of Virginia (USA) with high distinction, a Master of Engineering Management from the University of Technology, Sydney (awarded the MEM prize), and a PhD from the Macquarie Graduate School of Management (MGSM) in Sydney, Australia. Research themes include the strategic management of projects through project portfolio management, multi-project management or similar approaches, the alignment of project strategy with organisational strategy, organisational project management in dynamic environments, methods to manage project interdependencies within a project portfolio, and how perceptions of value affect decisions about project investments. Postgraduate subjects in the Master of Project Management such as 15328 Project Innovation and Entrepreneurship and 15312 Communication, HR and Stakeholders. © 2018, Emerald Publishing Limited. Purpose: The purpose of this paper is to holistically explore value creation approaches in a program of cultural projects to inform the practices of project/program management in both public and private sectors. Design/methodology/approach: The paper brings together the literature on project, program and portfolio value creation to inform a case study conducted with engaged scholarship research methods. Findings: Three themes of value creation are revealed: managing collaboration, coordination and perception. Effectuation and causation are both observed, demonstrating that a combination of logics underpin decision making in projects. Research limitations/implications: The results are based on a single case in a cultural context. Further research is needed to determine whether the observed value creation themes apply more generally, and to explore more deeply the use of logics associated with entrepreneurship in project decision making. Practical implications: The study reveals several non-commercial aspects of value creation that may play a role across a range of project environments. Practitioners may be able to recognize a wider range of value creation and to better nurture these previously unacknowledged types of value. Originality/value: The study provides new insights on value and decision logic through in-depth analysis of value creation in a program of culture projects. Cauchick-Miguel, PA, Killen, CP, Yamakawa, EK & Sousa-Zomer, TT 2018, 'Project portfolio management: A landscape of the literature', International Journal of Business Excellence (IJBEX). © 2018, Emerald Publishing Limited. Purpose: Project portfolio management (PPM) has been recognized as critical for the productivity of research and development (R&D) investments, but empirical research on PPM use and outcomes in non-commercial R&D environments is limited. The purpose of this paper is to investigate PPM processes and outcomes in a unique R&D context within Brazilian electric power utilities. Design/methodology/approach: An exploratory best practice survey was used to collect data on PPM processes, methods and performance results in the power sector. Analysis of the data employs descriptive statistics and comparative analysis in the light of the literature. Findings: The findings emphasize the importance of strategic value and the need for PPM to be customized for the specific context. The results also demonstrate the importance of adopting selection criteria and measures in accordance with the organizations strategic goals. Practical implications: The findings may help organizations better understand how PPM can be tailored for the environment. PPM managers in utilities and other non-commercial R&D environments may find guidance in tailoring and improving their PPM approaches. Originality/value: The contributions of this paper are twofold. First, it provides empirical findings to support PPM concepts on strategic alignment and the importance of context by demonstrating how PPM works to deliver strategy in a unique environment. Second, it contributes to the management of R&D projects and portfolios in power utilities, providing an example and analysis that may offer guidance. The contributions from this study may also offer insights that are valuable for R&D management in other utilities, or for R&D management in general. © 2018 Elsevier Ltd, APM and IPMA Project management approaches are evolving to be more flexible and adaptive to meet the challenges associated with an increasingly complex and dynamic environment. However, potential changes in the underpinning logic supporting project decision making have scarcely been considered. We investigate the role of effectuation, a decision logic most commonly associated with entrepreneurship, as an alternative decision-making approach to the rational 'causation' logic that has traditionally underpinned project management processes. We develop and test a model to explore the portfolio- and project-level influences on the application of effectuation in project management. We find that portfolio governance mechanisms related to business case use and portfolio monitoring inhibit the use of effectuation, while project innovativeness is associated with increased use of effectuation. The paper contributes to research and practice by empirically investigating the antecedents to the use of effectuation decision-making logic in project and portfolio management through a multi-level model. including its discursivity, representation, dynamic capabilities, leadership and materiality. compared with matrix and tabular displays. hypotheses though a sample of 480 experiments. and the use of network mapping displays is aligned with the best results. interpreted in combination with organization-based research. This paper explores how value constructs are identified in a non-profit project portfolio. The study sheds light on the question of 'value for whom, value by whom?' by investigating the broad range of value constructs beyond financial value to better support portfolio decision making in multi-stakeholder environments. The research applies an in-depth case study methodology involving two inter-related organisations operating in a multiple project environment. The findings draw from in-depth interviews, field observations and organisational artefacts. Triangulation is achieved through the different data collection and analysis methodologies. A thematic analysis of the data was conducted using a combination of manual and CAQDAS (QSR NVivo) approaches. The findings illustrate the complexity of multiple stakeholders' value perspectives in a non-profit project portfolio, and reveal how value understanding is built from many 'micro-constructs' of value emanating from a variety of stakeholders. A typology comprising seven value perspectives that aims to improve PPM decision making is proposed. Bjork, J, Holzle, K, Gemunden, HG, Killen, C & Kock, A 2016, 'Editorial', CREATIVITY AND INNOVATION MANAGEMENT, vol. 25, no. 2, pp. 177-178. This paper outlines a novel approach to engineering education research that provides three dimensions of learning through an experiential class activity. A simulated decision activity brought current research into the classroom, explored the effect of experiential activity on learning outcomes and contributed to the research on innovation decision making. The 'decision task' was undertaken by more than 480 engineering students. It increased their reported measures of learning and retention by an average of 0.66 on a five-point Likert scale, and revealed positive correlations between attention, enjoyment, ongoing interest and learning and retention. The study also contributed to innovation management research by revealing the influence of different data visualisation methods on decision quality, providing an example of research-integrated education that forms part of the research process. Such a dovetailing of different research studies demonstrates how engineering educators can enhance educational impact while multiplying the outcomes from their research efforts. Purpose The purpose of this paper is to increase understanding of project portfolio management (PPM) capability evolution, in order to guide the implementation and ongoing development of robust capabilities. Design/methodology/approach This research adopts a dynamic capabilities perspective and draws on organizational learning theory to investigate the path-dependent nature of PPM implementation and development. It employs a multiple-case study of six organizations. Findings Each of the case organizations reported a high level of evolution and change within their PPM capabilities, both purposeful and unintended. Potential fragilities are identified, such as the emergence of a success trap that inhibits explorative innovation and difficulties in stopping poor projects to reallocate resources. Based on findings from the literature and the multiple-case study, a capability maturity model is proposed to assist in the development of robust PPM capabilities that will continue to evolve and stay relevant in dynamic environments. The interdependence between projects in complex portfolios sharpens the challenge of project portfolio decision making. Methods that assist with the evaluation of data can address decision challenges such as information overload and time pressure. A decision simulation in a controlled experiment explored the use of visual representations of project interdependency data to support project portfolio decision making. Dependency matrices and network mapping were compared with non-graphical lists of dependency data. The findings show that the type of tool used may influence the quality of the resulting decision. Using visual tools, particularly network mapping displays, is correlated with the best results. The research provides a practical example of experimentation in project and portfolio management research and illustrates how such studies can complement organization-based research. Findings of interest to management include the importance of ensuring adequate time for decision processes and the potential benefits from using visual representations of project interdependence. Du Plessis, MP & Killen, CP 2013, 'Valuing Water Industry R&D: A framework for valuing water R&D investments in financial and non-financial terms', Water, vol. 2013, no. 6, pp. 63-67. The purpose of this paper is to summarise a recent doctoral thesis on the relationship between project portfolio management (PPM) and competitive advantage in service and manufacturing organisations. This paper adopts a âdynamic capabilitiesâ perspective, drawing on organisational learning theory to explain the path-dependent nature of PPM capability development and how PPM capabilities work with the resource base to enhance competitive advantage. Findings support prior PPM studies and suggest a positive relationship between structured PPM capabilities and improved outcomes. The research compares service and manufacturing environments; future challenges are likely to result from the increasing blurring of the boundaries between service and manufacturing industries. The research has four main practical outcomes: development of a model representing the overall PPM capability; a benchmark for and guidance on specific PPM processes and methods; guidance on the types of organisational learning investments that enhance the establishment and evolution of PPM capabilities; and the initial development of an outcomes and learning-based maturity model for PPM capabilities. This paper produces the first benchmark of innovation PPM capabilities in Australia, and is the first to include service product-focused portfolios. It is the first study that identifies PPM capabilities as dynamic capability, allowing existing research to be viewed through the dynamic capability lens and, more importantly, providing a theoretical underpinning that may influence future research and practice. Killen, CP & Hunt, R 2008, 'Best practice project portfolio management', International Journal of Quality and Reliability Management, vol. 25, no. 1, pp. 5-9. Purpose The purpose of this paper is to improve understanding and provide guidance for investments in organizational learning mechanisms for the establishment and evolution of organizational capabilities such as project portfolio management (PPM) and project management capabilities. Design/methodology/approach A multiple-case study research project investigates the development of PPM capabilities in six successful organizations across diverse industries. Findings The research indicates that PPM and organizational learning are dynamic capabilities that enhance an organization's ability to achieve and maintain competitive advantage in dynamic environments. PPM capabilities are shown to co-evolve through a combination of tacit experience accumulation, explicit knowledge articulation and explicit knowledge codification learning mechanisms. Although all three learning mechanisms are important throughout the establishment and evolution of PPM capability development, the research indicates that the development of an effective PPM capability will require particularly strong investments in enhancing tacit experience accumulation mechanisms and explicit knowledge codification mechanisms during the initial establishment or during periods of radical change to the PPM process. The purpose of this paper is to create a benchmark and identify best practices for Project Portfolio Management (PPM) for both tangible product-based and service product-based development project portfolios. A questionnaire was developed to gather data to compare the PPM methods used, PPM performance, PPM challenges, and resulting new product success measures in 60 Australian organisations in a diverse range of service and manufacturing industries. The paper finds that PPM practices are shown to be very similar for service product development project portfolios and tangible product development project portfolios. New product success rates show strong correlation with measures of PPM performance and the use of some PPM methods is correlated with specific PPM performance outcomes. The findings in this paper are based on a survey of a diverse sample of 60 Australian organisations. The results are strengthened by comparisons with similar North American research; however, they may not be representative of all environments. Research in other regions would further qualify the findings. As each organisation's PPM process is unique, case study methods are recommended for future studies to capture more of the complexity in the environment. The paper shows that PPM practitioners and executives who make decisions about the development of tangible products and/or service products will benefit from the findings. This paper extends the existing understanding of PPM practices to include service development project portfolios as well as tangible product development project portfolios and strengthens the links between PPM practices and outcomes. Purpose - The purpose of this paper is to create a benchmark and identify best practices for Project Portfolio Management (PPM) for both tangible product-based and service product-based development project portfolios. Design/methodology/approach - A questionnaire was developed to gather data to compare the PPM methods used, PPM performance, PPM challenges, and resulting new product success measures in 60 Australian organisations in a diverse range of service and manufacturing industries. Findings - The paper finds that PPM practices are shown to be very similar for service product development project portfolios and tangible product development project portfolios. New product success rates show strong correlation with measures of PPM performance and the use of some PPM methods is correlated with specific PPM performance outcomes. Research limitations/implications - The findings in this paper are based on a survey of a diverse sample of 60 Australian organisations. The results are strengthened by comparisons with similar North American research; however, they may not be representative of all environments. Research in other regions would further qualify the findings. As each organisation's PPM process is unique, case study methods are recommended for future studies to capture more of the complexity in the environment. Practical implications - The paper shows that PPM practitioners and executives who make decisions about the development of tangible products and/or service products will benefit from the findings. Originality/value - This paper extends the existing understanding of PPM practices to include service development project portfolios as well as tangible product development project portfolios and strengthens the links between PPM practices and outcomes. © Emerald Group Publishing Limited. Hunt, R. & Killen, C.P. 2005, 'Guest Editorial', International Journal of Quality and Reliability Management, vol. 22, no. 1, pp. 6-9. Purpose - This paper outlines the use of quality function deployment (QFD) for strategic planning. QFD provides a comprehensive process for defining the issues facing an organisation in terms of customer and stakeholder outcomes, natural segments and key strategic opportunities. Design/methodology/approach - An explanation and overview of the two core stages of strategic planning using QFD are followed by three case examples. Findings - Strategic QFD avoids complex matrix analysis and instead moves directly to concept generation and evaluation. One of the main benefits of strategic QFD is the level of commitment and support for the resulting strategy throughout the organisation. This paper also shows how strategic QFD can be used to identify and optimise internal capabilities and to find and address specific customer opportunities. Practical implications - Strategic planners will find that QFD-based philosophy and methods are useful tools for the creation of a customer-driven strategy. Originality/value - This paper provides insight for practitioners and academics into how strategic QFD systematically translates vision into action, targeting opportunities and creating innovative strategies that are stable even in fast-changing environments. © Emerald Group Publishing Limited. Hunt, R. & Killen, C.P. 2004, 'Best Practice Quality Function Deployment: Cases', The International Journal of Quality and Reliability Management, vol. 21, no. 9, pp. 920-1032. In dynamic environments, organizational agility is essential for survival; organizations must be able to adapt to change in order to succeed. In project-based organizations, a dynamic project portfolio management (PPM) capability can enhance organizational agility. PPM is an important organizational capability that enables organizations to manage and balance the portfolio holistically, to align projects with strategy, and to ensure adequate resourcing for projects in order to maximize the benefits from project investments. A dynamic PPM capability enables organizations to be agile and flexible by facilitating adjustments to the project portfolio and reallocating resources in response to the changes in the environment. In order for the PPM capability to remain relevant, it must evolve to reflect changes in the environment. Examples of aspects of PPM that enhance organizational agility are outlined in this paper to provide guidance for practitioners. Killen, C.P., Hunt, R. & Kleinschmidt, E. 2008, 'The Human Factor in Innovation Project Portfolio Management' in NA (ed), Inside the innovation matrix: Finding the hidden human dimension, Australian Business Foundation, North Sydney, Sydney, pp. 158-177. Killen, C, Geraldi, J & Kock, A 2018, 'Visualisations: Their use and impact on project portfolio decision making', Innovation and product development management conference, Porto, Portugal. Martinsuo, M, Vuorinen, L & Killen, C 2018, 'Lifecycle-oriented framing of value at the front end of infrastructure projects', European academy of management, Reykjavik, Iceland. Martinsuo, M & Killen, CP 2017, 'Decision making on strategic value at the front end of system delivery projects', European Operations Management Association, Edinburgh. Ang, CS, Killen, CP & Sankaran, S 2017, 'Making sense of project portfolio value in practice', The Modern Project: Mindsets, Toolsets, and Theoretical Frameworks, Proceedings of IRNOP 2017, International Research Network on Organising by Projects, Boston. understanding value by different stakeholders in various contexts and identifies seven perspectives through which value is identified in project portfolio environments. A typology of value perspectives is presented that aims to guide and improve practice by extending the range of values that are perceived, anticipated and considered for PPM decision making. Organisations with a clear focus on design and development need to carefully and strategically invest in projects. When collaboratively analysing various project proposals, decisions must be made at the macro level using a high-level strategic perspective of the entire portfolio of projects while at the same time considering details at the micro level. It can be difficult for decision makers to absorb the wide range of information about technical, financial, aesthetic, ergonomic, market, and other project factors that need to be considered. Hence, there is a need to better support decision making teams as they collaborate to effectively access and evaluate information. This paper explores the synergies between research and practices in the domain of Project Portfolio Management (PPM) and the disciplines of Design Innovation (DI) and Design Management (DM) to propose a new collaborative visual tool to assist design project review boards in small and medium enterprises (SMEs). Laursen, M & Killen, CP 2016, 'Creating strategic value by means of a cultural program', Australian and New Zealand Academy of Management Conference, Brisbane, Australia, pp. 1-14.
environments. It highlights the key question 'Value for whom, value by whom' and proposes that multiple case-studies of a diverse sample of project-based organizations would be useful to address this question. A Hybrid Delphi study using expert panels is also proposed to triangulate the findings. This paper explores the dimensions of value across a partnership project (that requires collaboration from two or more organisations), and highlights how unanticipated values from a project can add value to the overall portfolio. Insights into the complexities of defining and managing value derive from a study investigating managerial decisions to persist with a partnership project despite indications of possible failure, and how value was ultimately created. The study highlights a variety of valuable outcomes from project and portfolio activities. Sensemaking processes are illustrated and a value spectrum model is presented to provide guidance for portfolio decision makers involved in partnership projects. Practice-based research is extending understanding in the disciplines of strategy and project management, in part as a result of strong advocacy of research from 'strategy-as-practice' and 'projects-as-practice' perspectives. Such perspectives provide holistic contextual information and reveal the evolutionary and responsive nature of project and strategy processes. As environments shift and become more complex, dynamic capabilities are required for projects to flourish. Normative project management approaches are being challenged and practice-based project portfolio management (PPM) research is emerging. Increasingly, PPM defines the space between strategy and project management, with a key project focus on temporality. There is a need for further development and encouragement of practice-based approaches in PPM research that are alert to the becoming of projects as spatial manifestations that unfold in (different conceptions of) time. We identify three themes in project and portfolio management research that employ practice-based and strategically anchored perspectives. We illustrate the trajectory of early work on strategy and the front end of projects through to the development and application of increasingly sophisticated theoretical perspectives in project portfolio management (PPM) research. The dynamic capabilities perspective is shown to provide a strong theoretical foundation for investigating PPM and its role in implementing and informing strategy through projects. Theoretically grounded and practice-based research represents the interplay between structure and practice, with these reciprocally and recursively shaping each other over time. Building on these examples we call for practice-based research in PPM, and we suggest a convergence of strategy-as-practice perspectives and practice-based PPM research. Entrepreneurship education is usually taught with the intention of increasing entrepreneurial activity. Entrepreneurial intention is thought to predict entrepreneurial behaviour and is linked to a type of self confidence called 'self-efficacy'. Increases in entrepreneurial 'self-efficacy' are linked with increased entrepreneurial intent and ultimately the desire to start a business. Numerous studies suggest enterprise education increases 'self efficacy' through teaching pedagogies that include opportunities for a combination of four elements: mastery experiences, modeling, social persuasion, and judgments of our own physiological states. Whilst there is research about the combination of these pedagogies little has been done to evaluate the four key methodologies individually to understand the influence of each. The research reported in this paper provides insights into how different pedagogies contribute to the development of self-efficacy. This exploratory study reports on the experiences of three groups of post-graduate students who experienced similar entrepreneurship and innovation management courses with similar content but who were taught using different pedagogies. Given the importance of entrepreneurship and the high levels of investment in entrepreneurship education, these insights on the effectiveness of teaching pedagogies are valuable and fill an important gap in the literature. Practitioner and professional organization literature places strong emphasis on business cases with the expectation that the use of business cases to inform and drive investment decisions will produce better results. In particular, from a project portfolio perspective the business case of a project may provide the underlying rationale for value-oriented management. However, academic research regarding the use of business cases at a project portfolio level is scarce. By exploring the facets of business case control – encompassing the initial review of project business cases, the ongoing monitoring during project execution, and the post-project tracking until the business case is realized – this study investigates the relationship between business control and project portfolio success. Furthermore, we analyze critical enablers and relevant contingencies for the application of business case control. The results are based on a cross-industry sample of 183 medium-sized and large companies and rely on two informants from each firm. We found significant evidence for the positive relationship between business case control and project portfolio success. In addition, accountability for business case realization and corresponding incentive systems increase this positive effect. Finally, we found that contingencies (portfolio size and external turbulence) also have a moderating effect. This study contributes to research and practice by developing and validating a multi-dimensional construct for business case control, providing evidence for its effectiveness and enabling conditions. Planning and implementing innovation strategies are typically considered to be top-down processes and innovation portfolio management plays a decisive role in this context by aligning the project portfolio to the firm's strategy. However, in strategic management research it is well accepted that strategies are not solely deliberate but can also be emergent. Thus, between top-down innovation strategy formulation and its implementation, responding dialectic elements are required to sense emerging strategic impetuses and cope with changing environmental conditions. This paper addresses the role of portfolio management in the nexus between strategy formulation and implementation. Using a sample of 182 medium and large firms with two informants, we show that portfolio management not only fosters the implementation of intended innovation strategies through vertical integration but also discloses strategic opportunities by unveiling emerging patterns. The findings show that portfolio management contributes to innovation portfolio success by supporting both the implementation of deliberate and emergent strategies through vertical integration and strategic disclosure. The effects are complementary in that both activities increase the positive effects of the other. Furthermore we find that strategic control (i.e. premise control, implementation control, and strategic surveillance) on a portfolio level indirectly contributes to success mediated by vertical integration and strategic disclosure. Finally, we show that the influence of vertical integration on innovation portfolio success is reduced under high environmental turbulence. To support the successful implementation of product innovation strategies, we investigate the role of perceived product portfolio innovativeness (PPPI) and its relationship to a firms brand equity. Besides the overall level of PPPI, our analysis additionally reflects direct and moderating effects of the variation of product innovativeness across the portfolio (DPPPI) and hence offers novel insights into an unexplored aspect of portfolio innovativeness. Moreover, in contrast to previous studies, we apply a novel, consumer-centric measurement approach and overcome potential shortcomings of expert-based methods. The hypothesized relationships are tested on survey-data from 691 respondents. Our results imply a strong positive correlation between PPPI and brand equity which is mitigated by DPPPI. Managerial implications of this finding are discussed. Urhahn, C, Spieth, P & Killen, CP 2013, 'The influence of perceived innovativeness in product portfolios', The Proceedings of The XXIV ISPIM Conference - Innovating in Global Markets: Challenges for Sustainable Growth Conference, XXIV ISPIM Conference, ISPIM, Helsinki, Finland, pp. 1-17. Killen, C.P. 2012, 'Organizational agility through project portfolio management', Congreso Internacional de Dirección de Proyectos PMI, PMI, Lima, Peru, pp. 1-10. Organisations involved with non-commercial projects are under increasing pressure to improve the value, transparency and accountability in their management and funding of projects. The outcomes from non-commercial projects often have significant benefits to society, however resources are limited and organisations are under pressure to deliver the expected value from non-commercial projects. Project Portfolio Management (PPM) approaches, where portfolio value is managed holistically, have strong appeal as methods to improve the overall value and meet governance requirements in non-commercial settings. There is strong interest in PPM in the non-commercial sector and scope for PPM to make a large positive contribution, however methods to define value in most existing PPM frameworks are tailored for commercial contexts. This paper reports on non-financial and non-commercial value measurement approaches to inform the tailoring of PPM approaches for non-commercial project contexts. Killen, C.P., Drouin, N., Jugdev, K., Petit, Y. & SÃ¶derlund, J. 2011, 'Panel: Advancing project management research with strategic management theories on resources, competencies and capabilities', Proceedings of IRNOP (International Research Network on Organising by Projects) 2011, Coop University of Quebec at Montreal (UQAM), Montreal, Canada, pp. 1-1. Project portfolio management (PPM) is cnetral to many organisations' strategic processes and requires consideration of multiple factors and inputs and the ability to envision alternative future consequences to support strategic decision making. Complex project portfolios with multiple project interdependencies are characteristic of many project environments, yet existing methods and tools do not provide the clear understanding of project interdependencies that is required to support strategic project portfolio decision making. The exploratory research reported here introduces a new type of visual representaion and provides insights into the facots affecting an organisation's ability to understand prject interdependencies. Visual project mapping (VPM), the creation of graphical network displays of projects and their interdependencies, is shown to provide benefits by supporting communication and strategic portfolio decision making. The research also highlights the importance of the enivronment and the processes, and indicates that they both play an important role in an organisation's understanding of project portfolio interdependencies. This conceptual paper examines our existing world-view portfolio is defined the management of that portfolios from that of project and new product development portfolios to other portfolios that exist in an organisation, such as the asset portfolio, resource portfolio and ideas portfolio. Portfolios do not exist in isolation in an organisational context, but instead overlap and interact. This paper argues that there is a need to move another step higher, and examine the relationships between portfolios of projects and related activities across an organisation in order to optimise outcomes across the organisation. We propose the need for `enterprise portfolio management and suggest that this approach has the potential to improve organisational efficiency, and in the longer term could be a source of competitive advantage. Killen, CP, Levin, G, Kwak, YH & Sankaran, S 2010, 'Project Portfolio Management (PPM) - Strategic and Operational Agility Through Projects', PMI® Research & Education Conference 2010: Defining the Future of Project Management, Defining the Future of Project Management - Research & Education Conference 2010, Project Management Institute (PMI), Washington D.C., USA, pp. 1-1. Understanding project portfolio interdependencies is essential in order to manage projects in complex and dynamic environments. Project environments across the globe are becoming increasingly complex, creating heightened challenges for project management (PM) and project portfolio management (PPM). Current research indicates that organisations globally fall short of understanding how project interdependencies affect portfolio outcomes. The literature on System Dynamics (SD) suggests that SD may be a suitable tool to encapsulate the âbigger pictureâ of PPM interdependencies. This research applies a client interactive approach using SD modelling techniques to represent interdependencies within a project portfolio. A case study was conducted with the Royal Australian Navy (RAN) to investigate SD as a potential tool for the management of project portfolio interdependencies The outcomes of the case study suggest that SD has the ability to challenge an organisationâs perceptions of their project portfolio interdependencies and to enhance strategic decisionmaking capabilities. This research employs the dynamic capabilities framework to improve understanding of the relationship between organizational project portfolio management (PPM) capabilities and competitive advantage. A growing stream of literature on PPM includes best practice studies that show correlations between PPM practices and project portfolio outcomes; however, these studies are not theoretically grounded and do not provide explanations about the mechanisms that may lead to the correlations. The research reported in this paper employs a multiple-case study to provide indepth understanding of organizational PPM capabilities. The research investigates the management of new product development (NPD) project portfolios at six diverse organizations, including three from the rapidly growing and increasingly important service sector. The findings illustrate that an organizational PPM capability goes beyond the processes and procedures used; organizational structures and human dimensions are important components of the capability. PPM is shown to contribute to competitive advantage through the mechanisms of a dynamic capability by enabling organizations to reconfigure the resource base to respond to changes in the environment. Organizational learning is found to be instrumental for a dynamic PPM capability and insights are provided into the ways that organizations establish and evolve their PPM capabilities. The findings also contribute to the understanding of how PPM is tailored to environments through an analysis of differences between service and manufacturing industries; PPM is largely similar in the service and manufacturing environments studied, but exhibits differences related to the differing levels and types of dynamism in the environments, differing levels of flexibility in resources and the ongoing trend towards a service focus in manufacturing industries. As the boundary between manufacturing and service industries continues to blur, product innovation often takes the form of blended product offerings consisting of both manufactured and service elements. Organisational innovation processes and strategies have traditionally been based on either a âmanufacturingâ or a âserviceâ mindset, which may not be suitable for optimal innovation in a blended offering. This paper combines findings from an empirical study with literature from service and manufacturing perspectives to enhance understanding of the nature of blended offerings. A typology of blended product offerings is proposed that integrates previously identified blending mechanisms with new findings on current trends and types of blended innovations. Implications for innovation management are discussed and directions for future research are suggested. The interdependencies between projects create complexities for the management of project portfolios within organisations. In times of uncertainty this challenge is even greater due to the difficulties in predicting the flow-on effects from changes to projects in the portfolio. Hence, in times of disruptive change a good understanding of project interdependencies is particularly important. This paper outlines two related studies that aim to improve the understanding and management of interdependencies within project portfolios. The paper first defines project portfolio management (PPM) and highlights its growing importance for optimising organisational outcomes, especially in dynamic environments. Project portfolio complexity and interdependencies between projects in a portfolio are then overviewed, highlighting the challenges that these interdependencies create for effective PPM, and introducing some of the methods used for understanding and managing these interdependencies including the dependency matrix and the related design structure matrix. Network analysis and mapping tools are then introduced and suggested as a novel method for improving understanding and managing project interdependencies. Finally, an example of the use of this type of method is presented and the current research projects are overviewed. Killen, C.P., Hunt, R. & Kleinschmidt, E. 2006, 'Innovation Portfolio Management: Relating Practices to Outcomes', Proceedings of the 13th International Product Development Management Conference, 13th International Product Development Management Conference, EIASM European Institute for Advanced Studies in Management, Milan, Italy, pp. 639-653. Killen, C.P., Hunt, R. & Kleinschmidt, E. 2005, 'Benchmarking portfolio management practices in Australia.Preliminary Findings', Proceedings of 8th QMOD Conference: Creating Values for People, Organisations and Societies, QMOD Conference, University of Palermo, Palermo, Italy, pp. 593-603. Killen, C.P. & Hunt, R. 2004, 'Australian Cluster Policy and Electronics Cluster Development', Proceedings of the 5th International CINet Conference, 5th International CINet Conference, CINet, Sydney, Australia, pp. 664-672. Killen, C.P., Walker, M. & Hunt, R. 2004, 'Strategy: Solving the Fuzzy Front End', Management Challenge of the New Millenium, Quality Management and Organisational Development Conference 7th International Conference (QMOD 2004), Tecnologico de Monterrey, Monterrey, Mexico, pp. 229-238. Ang, KCS & Killen, C 2016, 'Multi-stakeholder perspectives of value in project portfolios'. This presentation forms part of the conference papers presented in Paris for Euram 2016. It explores practices for understanding value by different stakeholders in various contexts and identifies seven perspectives through which value is identified in project portfolio environments. A typology of value perspectives is presented that aims to guide and improve practice by extending the range of values that are perceived, anticipated and considered for PPM decision making.